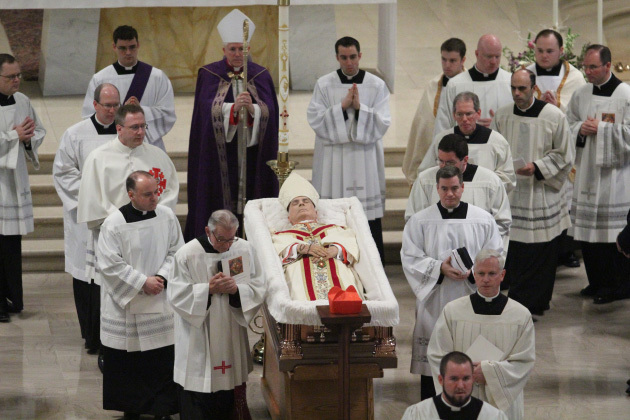 Funeral Mass of Cardinal John Foley, Dec. 16, 2011. 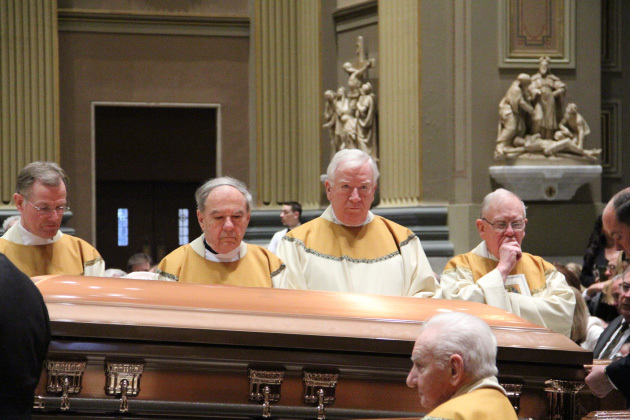 Funeral Mass of Cardinal John Foley, Cathedral Basilica of SS. 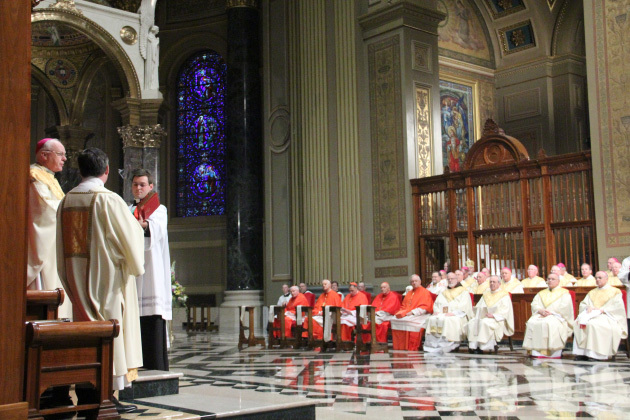 Peter and Paul in Philadelphia, Dec. 16, 2011. 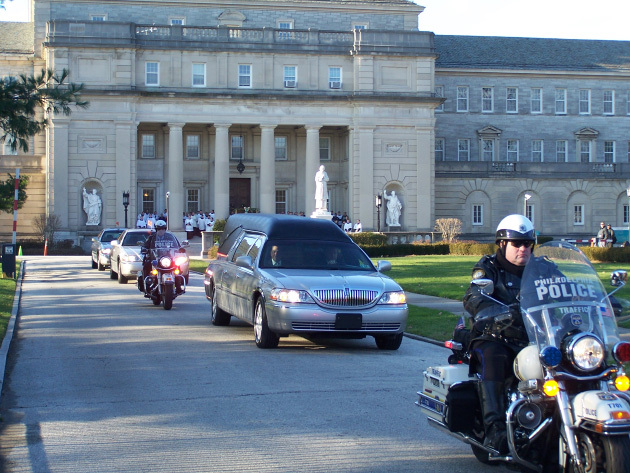 The motorcade leaves St. Charles Borromeo Seminary to take the body of Cardinal John Foley to the Cathedral Basilica of SS. 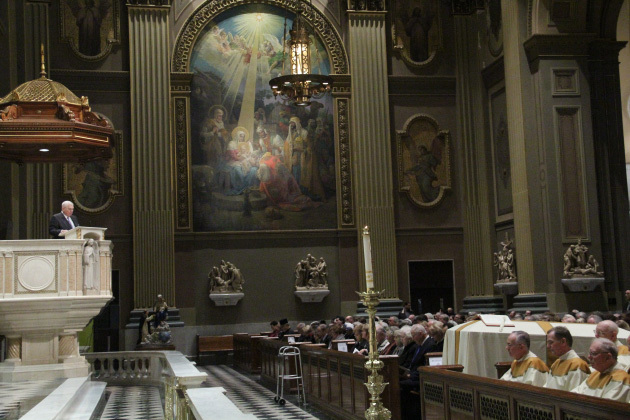 Peter and Paul the morning of Dec. 16. 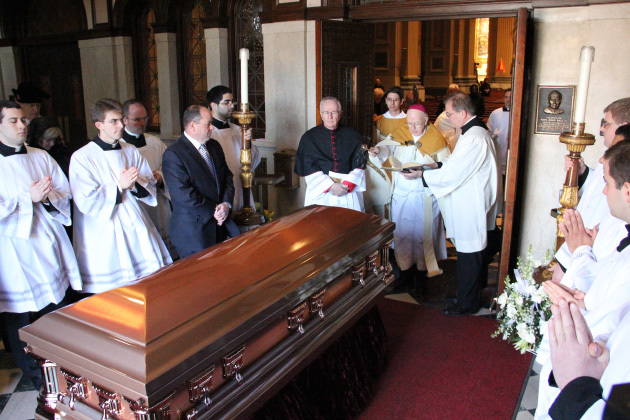 Reception of Cardinal John Foley’s body at St. Charles Seminary, Dec. 15. 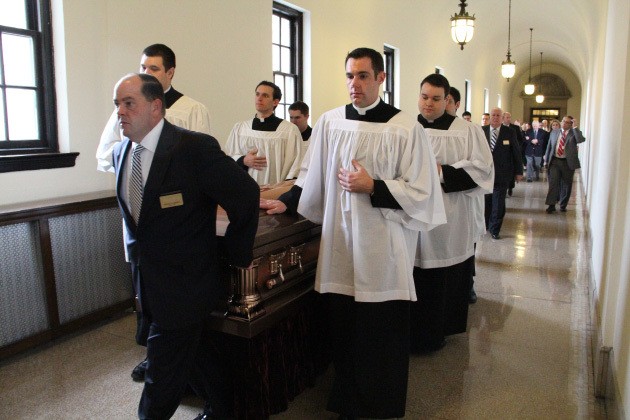 Pallbearers carry Cardinal John Foley’s body through the halls of St. Charles Borromeo Seminary to the Chapel of St. Martin of Tours, Dec. 15. 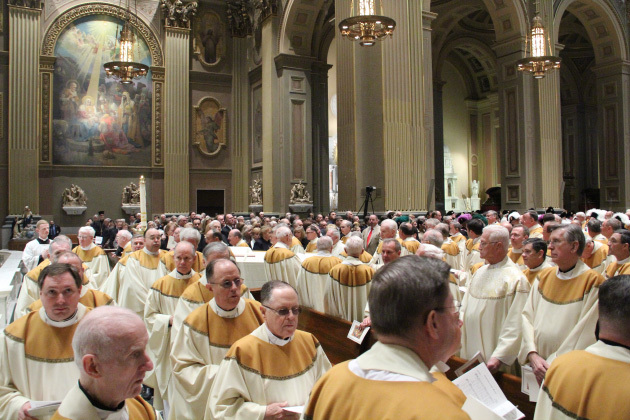 Midmorning prayer at St. Charles Borromeo Seminary, Dec. 15. 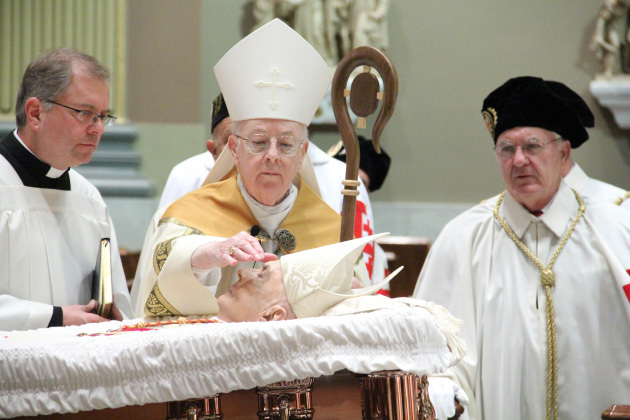 Cardinal Foley laid in state at St. Charles Borromeo Seminary, Dec. 15. 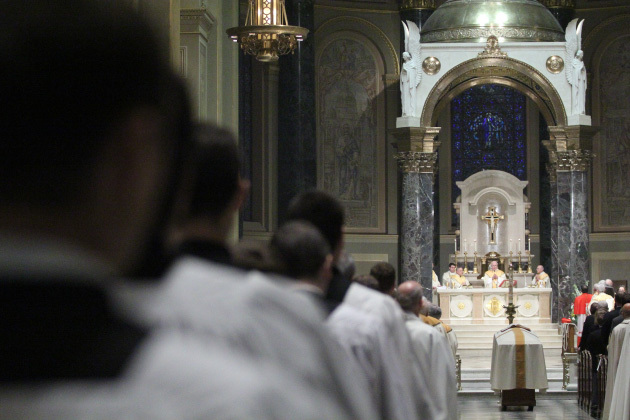 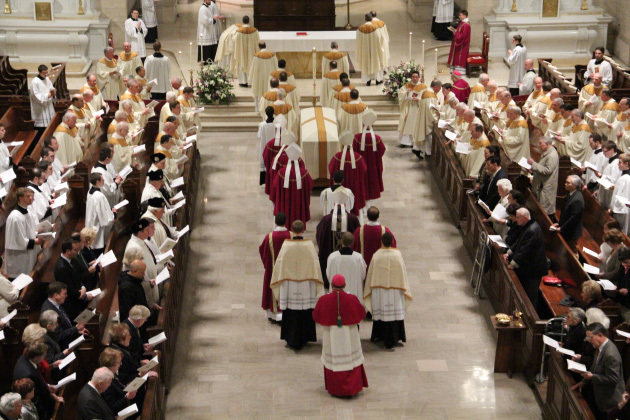 Mass for the Dead, St. Charles Borromeo Seminary, evening of Dec. 15, 2011. 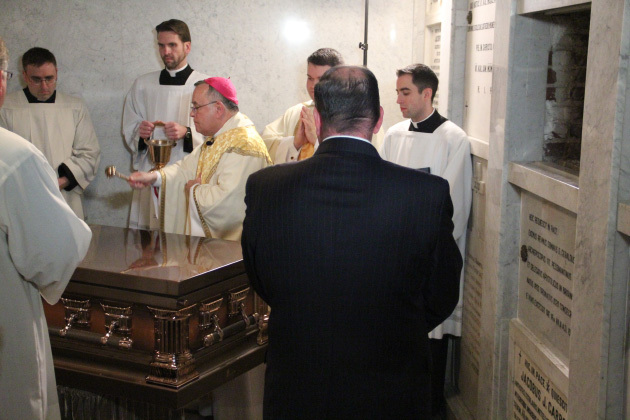 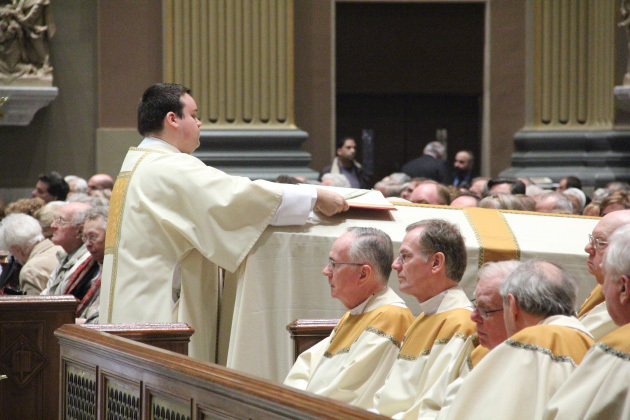 Auxiliary Bishop Daniel Thomas celebrates a Mass for the Dead at St. Charles Borromeo Seminary, Dec. 15. 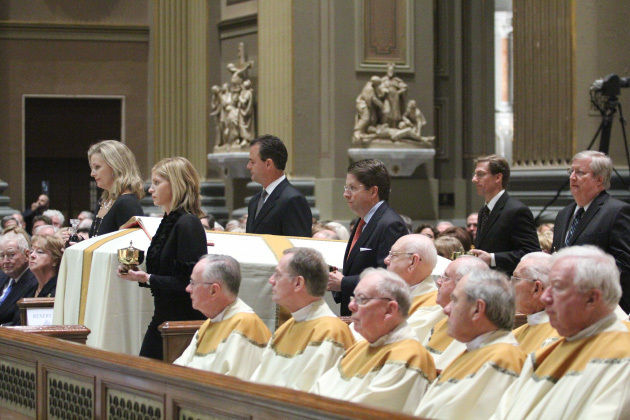 Bishop Thomas used Cardinal Foley’s chalice during the celebration of the Mass in his friend’s memory. 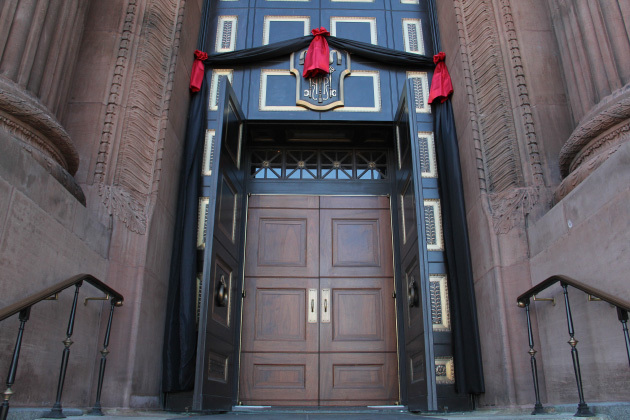 Bunting drapes the Cathedral Basilica’s door the day of Cardinal John Foley’s funeral, Dec. 16. 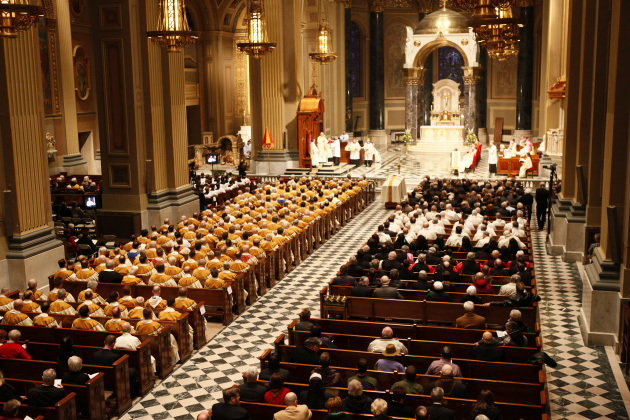 Reception of the body at the Cathedral Basilica of SS. 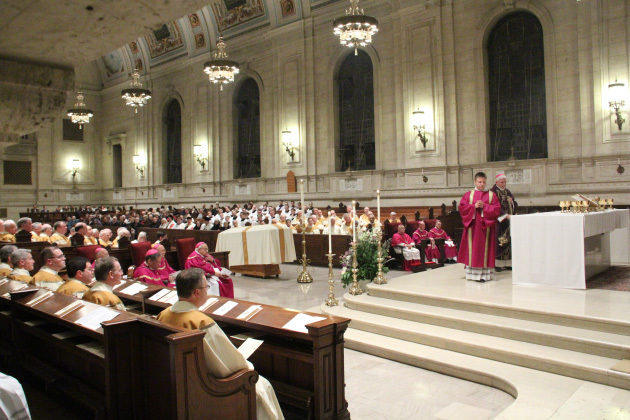 Peter and Paul, Dec. 16. 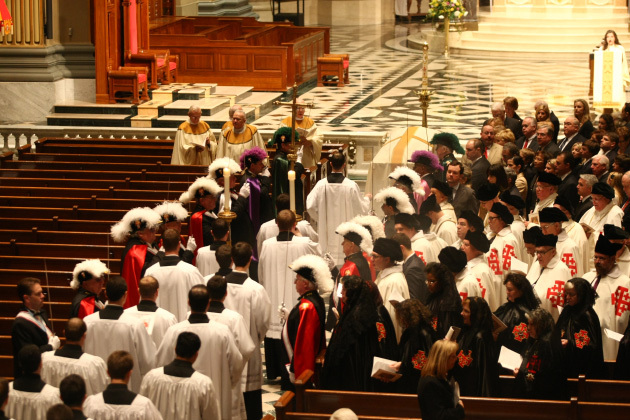 At Midmorning Prayer at the Cathedral Basilica of SS. 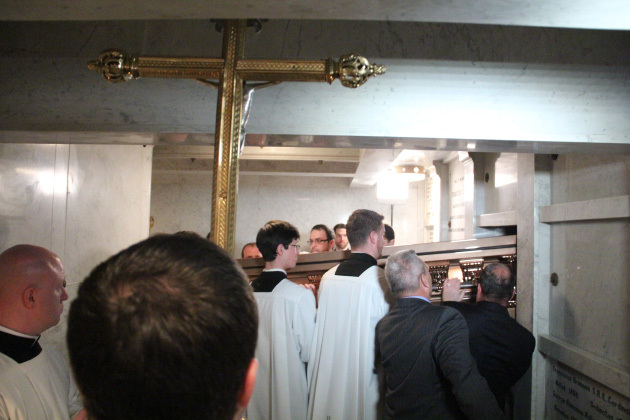 Peter and Paul, Dec. 16. 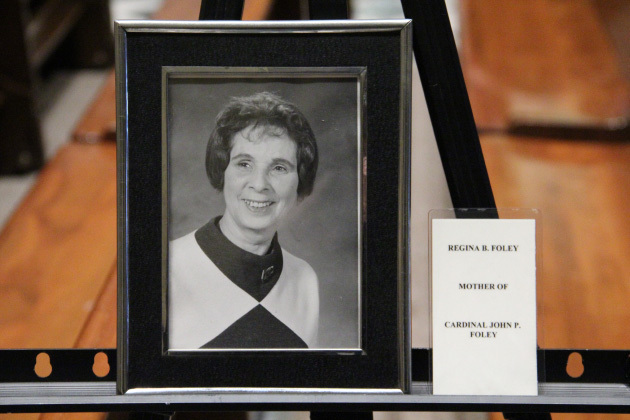 A photo of Cardinal Foley’s mother, Regina, was hung next to the entrance to the Cathedral Basilica of SS. 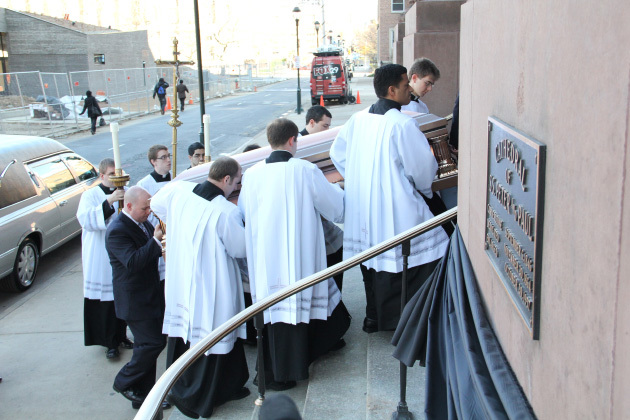 Peter and Paul the day of the cardinal’s funeral Mass, Dec. 16. 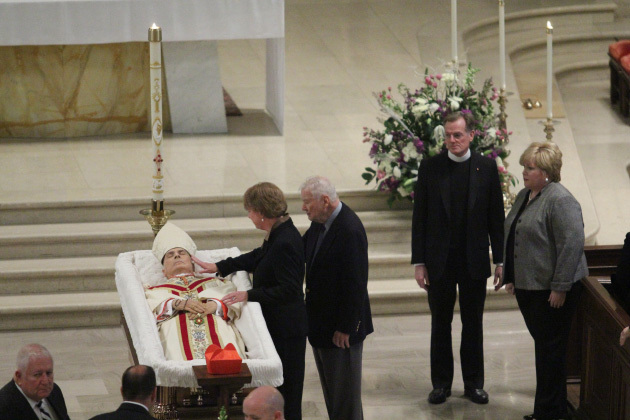 The second reading at Cardinal John Foley’s funeral Mass Dec. 16 was read by the cardinal’s lifelong friend Bob Sims. 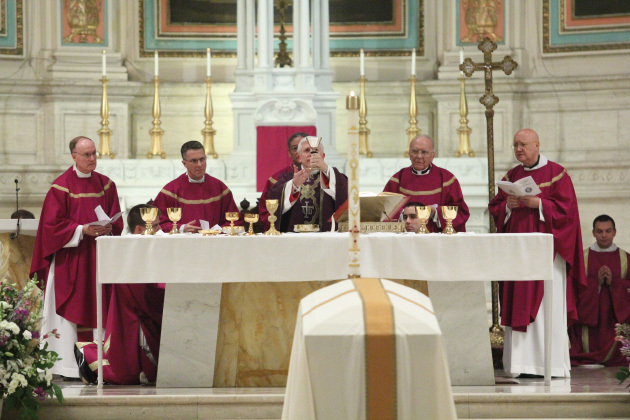 Archbishop Timothy Dolan of New York gives the homily at the funeral Mass of Cardinal John Foley, Dec. 16, 2011. 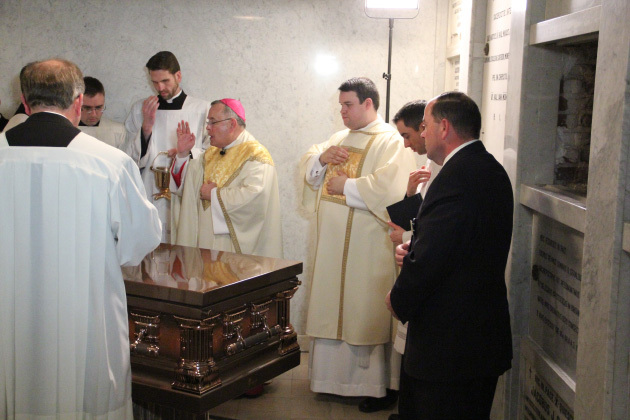 Offertory at the funeral Mass of Cardinal John Foley, Dec. 16, 2011. 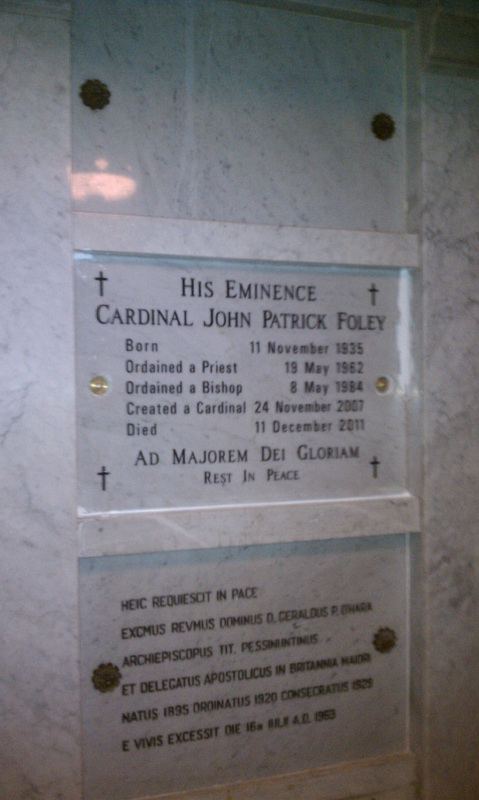 In the crypt under the Cathedral Basilica where Cardinal Foley was entombed, Dec. 16. 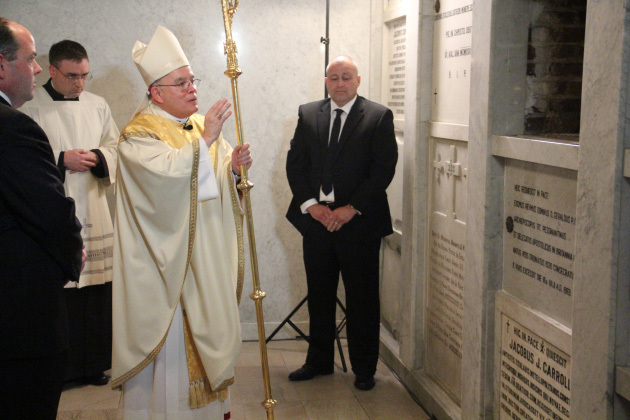 Archbishop Chaput in the crypt under the Cathedral Basilica where Cardinal Foley was entombed, Dec. 16. 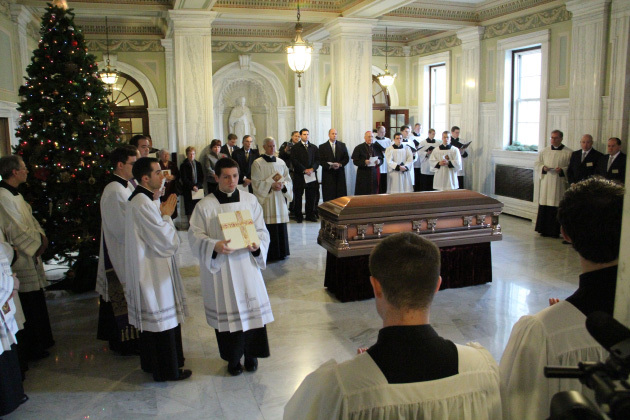 Cardinal Foley’s body lies in state at the seminary, Dec. 15. 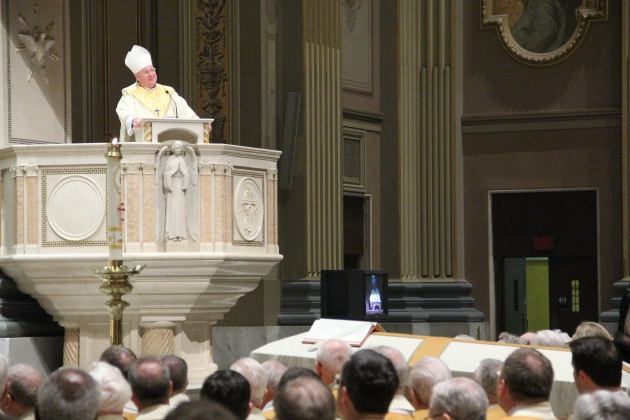 He is clad in white Mass vestments with the bishop’s miter. 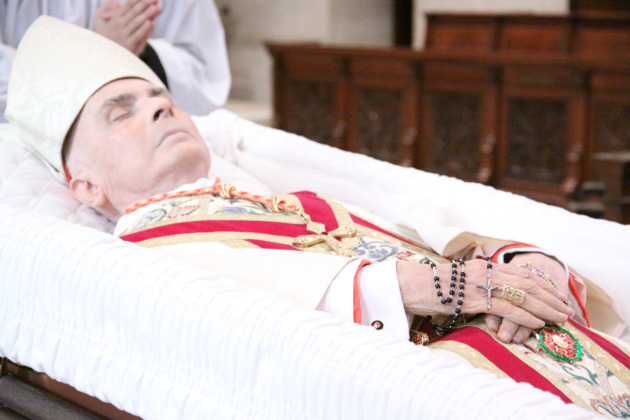 On his right hand next to his episcopal ring is a rosary. 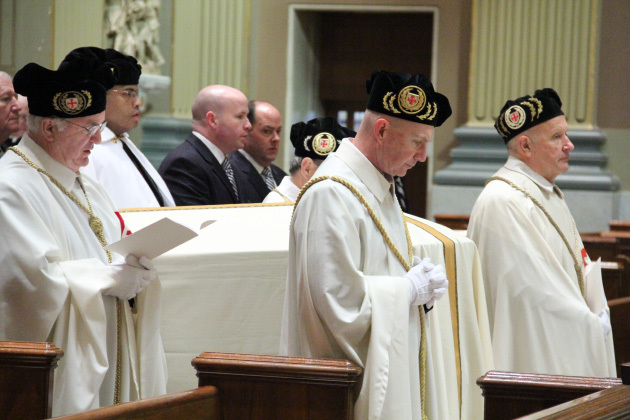 On his left is the insignia of the Equestrian Order of the Holy Sepulchre of Jerusalem, which he led.